So I have next week off work. This means in theory I have more time to work on an idea I’ve had floating in my brain for a while. I’m both excited and scared. I get like this every time I prepare to put something on YouTube. My videos so far have been vlogs and most of them are on pretty serious topics. The most notable exception to this rule though is my makeup tutorial for people who lack fine motor skills. That one leans more on the silly side. 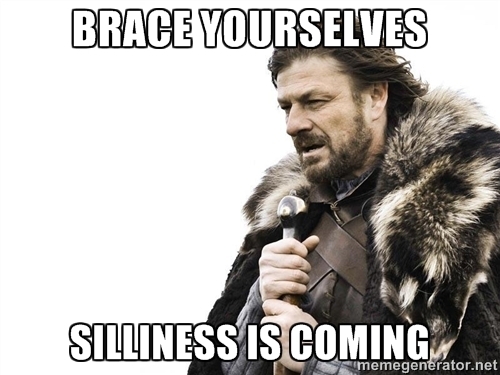 But more silliness is coming! I had a pretty positive response to the makeup video so this has encouraged me to do something more fun. There is a childlike silliness to me that I want to show. There is quite a bit of work that will go into this though. It’s more complicated than a typical vlog. It will involve original music. So the next week and a half will be busy and creative. I’m not sure it will be finished by next blog, but I’ll try. I also intend to put more of my original tunes on YouTube also. It’s time for me to stop talking about it and start doing. So there you go. If silliness is not your thing, that’s cool. Just thought I’d give you a heads up on what I’m up to. .